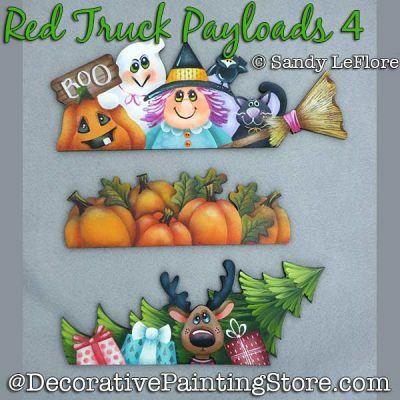 Red pickup truck monthly payloads for Welcome Plaque... October-Halloween, November-Pumpkins, December-Christmas. Cutouts available from PaletteandSawdust.com. Attach to Red Truck Welcome Plaque with velcro.